What makes liquorice and mint so special? 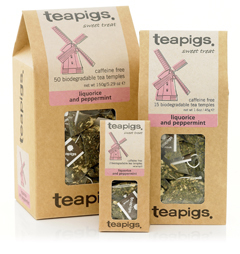 Well liquorice, for a start, which has been used for centuries in traditional Chinese medicine, is hugely popular with the Dutch and tastes so much better with peppermint than sherbet dips. Which is why, we’ve blended pure liquorice root with whole peppermint leaves to create a naturally sweet and refreshing drink that is irresistibly moreish. In need of a little treat or alternatively in need of a tea to soothe a sore throat.